Tithe & Offering Scriptures the Complete collection by Leon Bible, is a hardcover book of 260 Bible passages and meditations arranged in Biblical order. This is the total collection which was previously published as 5 individual books. 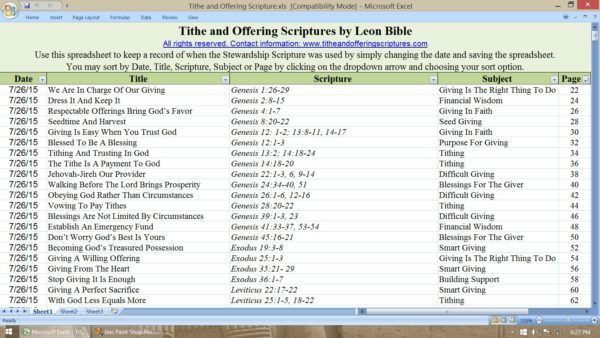 Description: This is an “Excell Spreadsheet Download” for the Book: “Tithe & Offering Scriptures, the Complete Collection,” by Leon Bible. You can see the actual book here. 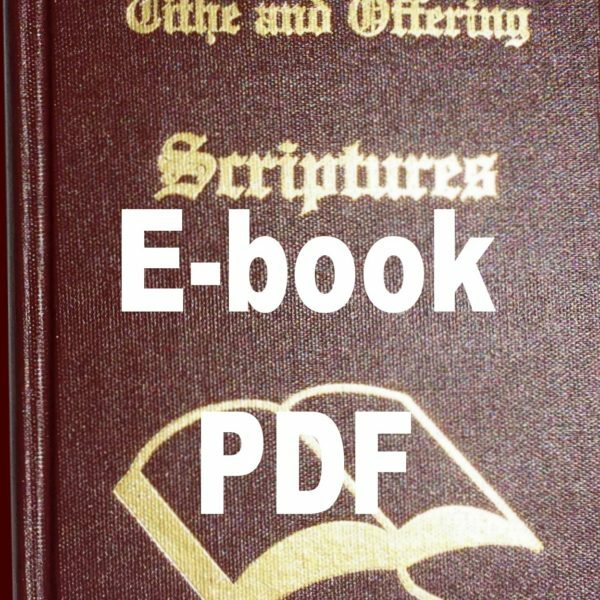 It is a great tool to use to track when giving Scriptures are used. The Date the giving outline was used. 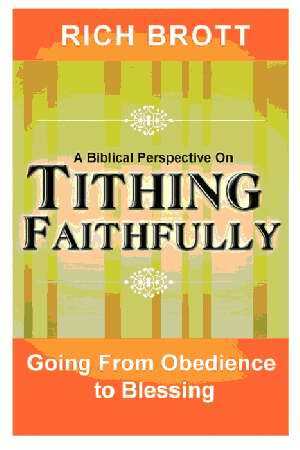 The Title of the giving outline. The Subject of the giving outline. 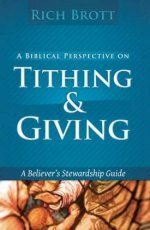 The Scripture Text of the giving outline. The Page the Scripture outline is located on in the hardcover book. Microsoft Excell or OpenOffice Calc (or some other compatible software) are needed in order to open this file.